Yooooo GOAT GANG!! Hope you guys are having the GREATEST day of all time! I have been putting off testing my blood ketones for years because I didn't want to get sucked into paying $4 a test as well as the idea of poking myself every day. 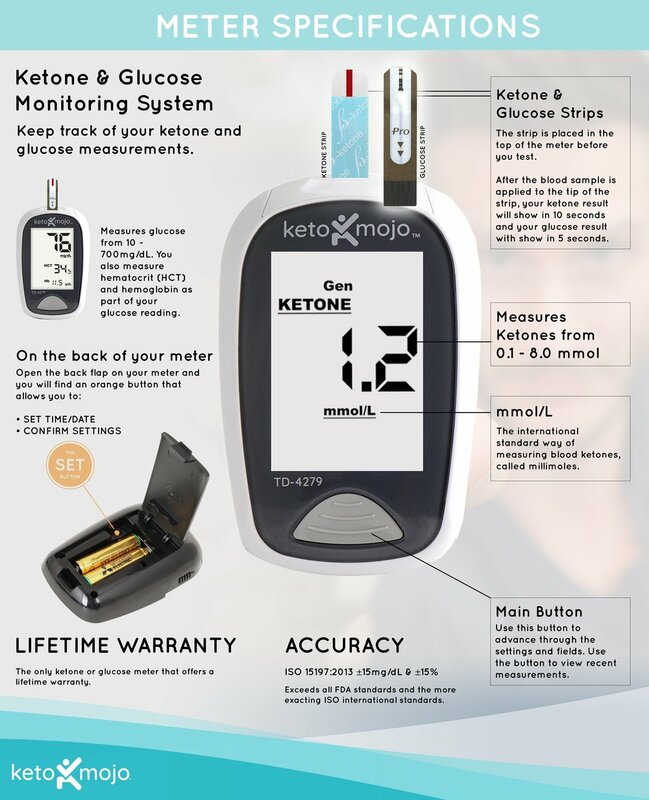 I finally decided to stop "flying blind" and monitor my blood ketones with Keto Mojo. What I love about this monitor is that it's super easy to use and quite affordable at .99 a test. When I first got the Keto Mojo in, I wasn't quite sure how to go about using the lancet so I ended up wasting 3-4 strips before getting it right. I'm currently 15 tests in and this blood ketone testing has become ridiculously easy. I've been testing 3-4 times a day to hone in on what knocks me out of ketosis. This is what I always hoped ketone monitoring could help me with - finding out if particular foods or supplements had an adverse effect on my level of ketosis. I think that it is important to know where you stand when on the ketogenic diet. To know without a doubt that your body is in a state of nutritional ketosis is an extremely powerful tool! Over the past few days I have found out that when I consume any amount of tomatoes, my ketone levels drop rapidly. How crazy is that? To find a food that you thought in moderation was 100% ok but it could have been messing with your diet goals the entire time. So in the future I'll be avoiding tomatoes and testing my ketones with Keto Mojo several times a day to assure I'm always honed in on ketosis.